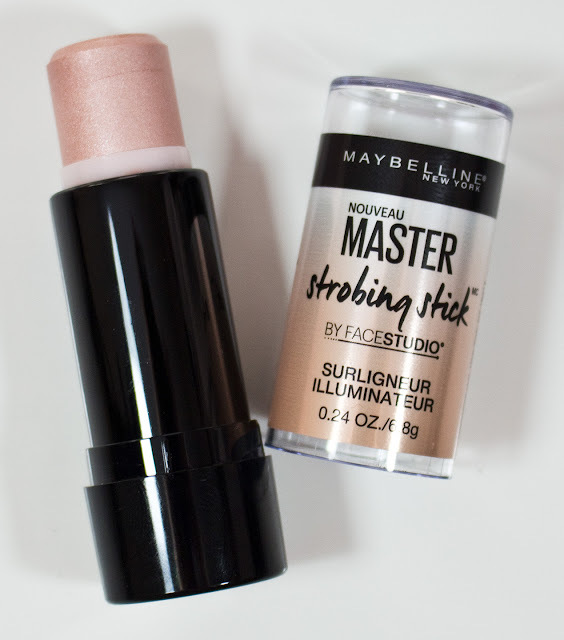 The Maybelline FaceStudio Master Strobing Stick Illuminating Highlighter in Light Iridescent retail for $9.99US and $9.99CAN at Zerhs for 0.24 oz /8.6g worth of product. Maybelline FaceStudio Master Strobing Stick Illuminating Highlighter in Light Iridescent is a pale pink tone with a fine pearl finish and is just slightly darker compared to the L'Oreal True Match Lumi Liquid Glow Illuminator in c301 Ice once blended out on the skin. The formula is very smooth to apply and blend out on the skin nicely. 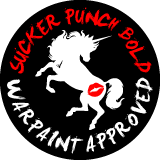 It doesn't complete set on it's but does dry to a mostly budge-proof finish on the skin. 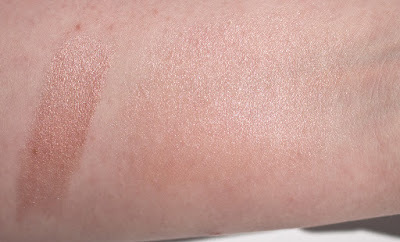 Wear: Lasts 9 hours on bare skin and lasts longer over a primer/foundation. Packaging: Twist-up stick with a clear lid. Daylight swatches: Light Iridescent, applied heavy and buffed out. 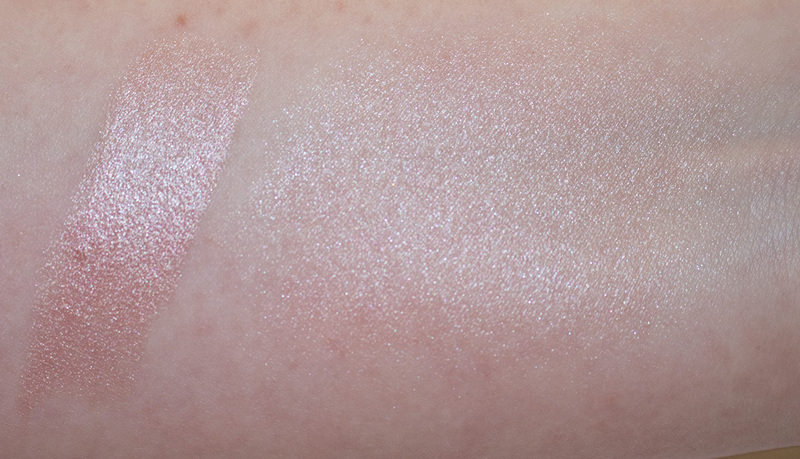 Flash swatches: Light Iridescent, applied heavy and buffed out. This is a nice cream highlighter that is dry enough not to disrupt the layers of makeup underneath it.